This entry was posted in Ion Torrent Blogs and tagged 100AQ20, 100AQ23, Accuracy, Ion Torrent, Life Grand Challenge. Bookmark the permalink. I agree, Care Bears IS the best show ever!! I really like your post, it looks like you are trying hard to get hired by Ion 🙂 The post assumes that chemistry can be improved, but software is the least risky and can yield the greatest improvement in a short time period. Mike thanks for the comments and promoting the Care Bears. If everyone was made to watch it in high school the world would be a better place. In fact, the days I write the hater stuff it’s because I forgot to watch Care Bears that morning. Hi flxlex thanks for the comment and great observation. 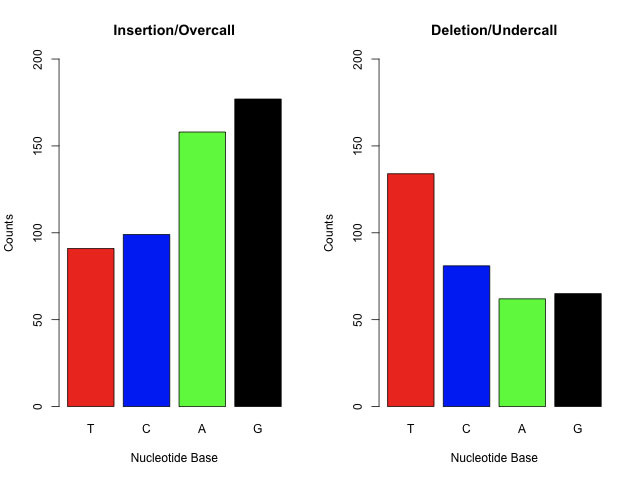 Figure 2 is from a January 2011 sequencing run so was a long long time ago. It does not have the increased sampling rate I mentioned. Also separating a foreground signal from a comparatively large background/baseline signal is a common problem in signal processing. When working with the raw data (i.e. DAT files) in March-April, I was very skeptical that anything could be made out of such a signal. I was pleasantly surprised when the source code was released and I saw it for myself. The background and foreground modeling is testimony to 1-2 years hard work and the community is fortunate that we are able to look at it. Don’t waste your time. The so-called Grand Challenge will never have a winner, trust me…Life Technologies is using this to take ownership of all the IP related to everyones submissions, and this is a fact. Thanks for your comment. I think many have thought what you have written at times and it’s an obvious concern with submission especially a non-winning submission. Here is my solution. If you are ONLY interested in the money, you should apply for a job at Ion Torrent as I concluded in Part 1 of the Grand Challenge series. If you are interested in the recognition. It would best to publish in a journal like Bioinfomatics and then submit. If you own a PGM and just want the accuracy to improve, then just share your knowledge on the internet then submit. This is the approach I am taking. At the end of the day as a PGM user I just want the accuracy to improve. Great review! I think you see how the technology has a long way to go to fully mature. 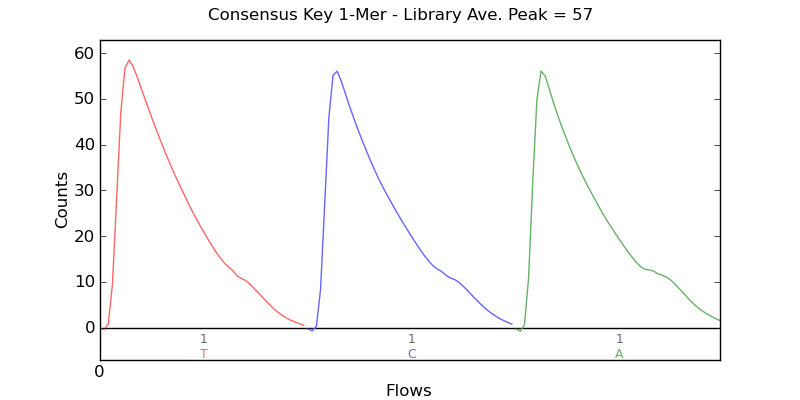 Improving the signal to noise will be critical for read lengths to increase and the base quality scores to increase. From your analysis do you think the plans to scale every six months are feasible? 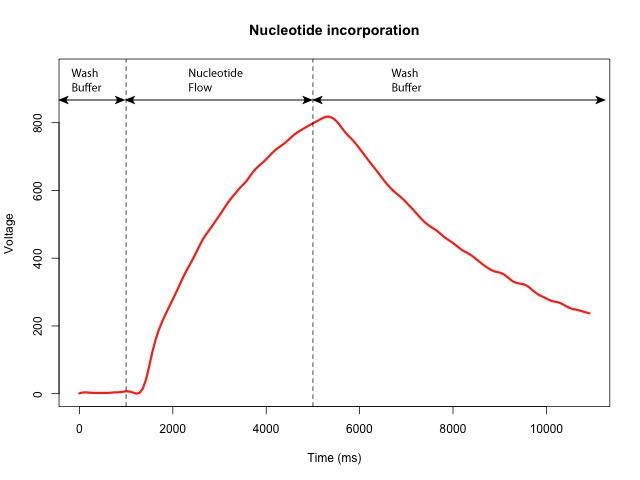 With smaller wells and less signal, I wonder how the buffering will impact the results. It would be interesting to fully compare the quality of 314 vs 316 vs 318. Chemistry looks to need to improve greatly to fit the trajectory they plot and this could be a big task. Captain Proton, I like the name 🙂 Thanks for the kind comment. I don’t think I am in the best position to comment if the milestones/promises set by Life Technologies will be met. However, one good point Life Technologies made is that their machine is fast to run and highly flexible (eg. flow scripts to modify all aspects of flow) on many levels which means they can test many possibilities rapidly. In addition, in Part 1 of my Grand Challenge series I noted the target was twice as hard with the number of total reads remaining relatively constant. This means there was massive improvement between quarters… albeit in the test data set released to accuracy challengers. 316 – perhaps change in electronics? In an up coming blog I will cover improvements in raw signal between these releases, if I can get my hands on some DAT files. This is a great review. 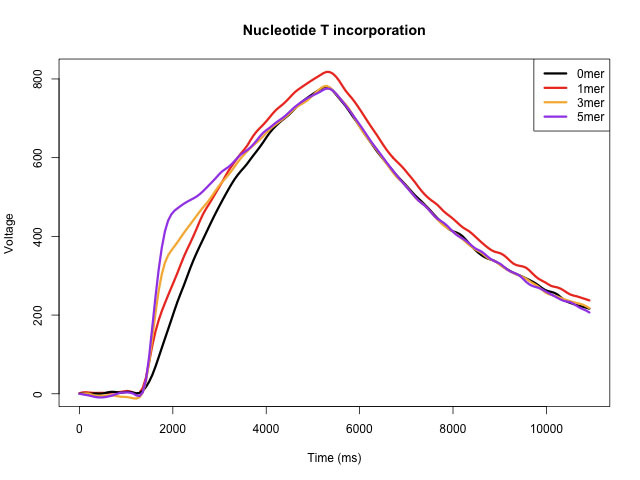 I am in the process of learning about base calling in Ion Torrent. Where can I find Part I and II of this series? Thank you. I need to fix the navigation pane so archived post are easier to access.